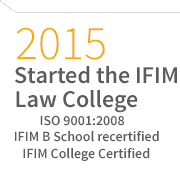 IFIM Business School has tie-ups with leading B-Schools and Universities across the globe in countries like USA, Australia, France, Germany, UK, Singapore, etc. 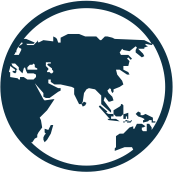 for student exchanges and immersions, exposing our students to best practices across the world. 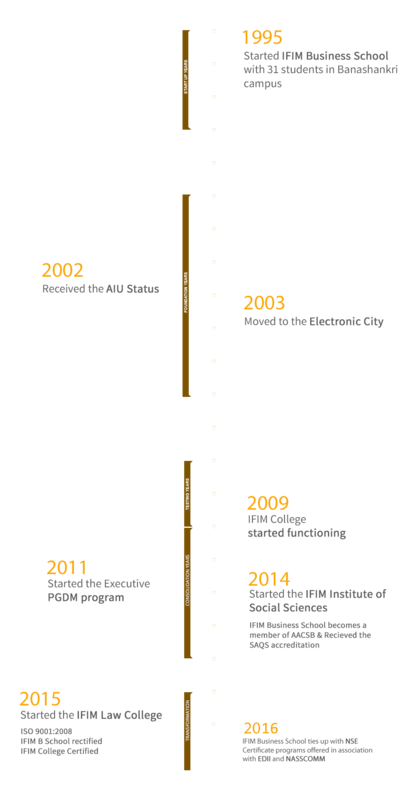 IFIM is the only institution with a completely flexible PGDM program that empowers the students to create their own learning paths to fit their career aspirations. 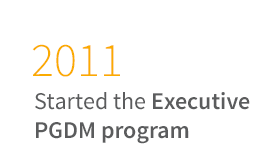 Patterned on leading international B-schools, the program has been well appreciated by the corporates. 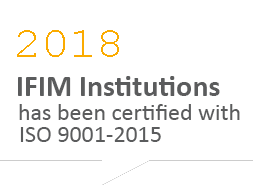 IFIM has tie-ups with professional organizations like CFA Institute of USA, NASSCOM, NSE, Toast Masters International, NEN, LEDMAC, National HRD Network, EDII, etc. allowing our students to regularly interact with corporate who’s-who and get exposed to cutting-edge topics that impact business environment. 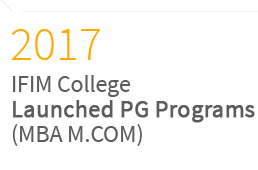 IFIM has a unique corporate internship program (with double the standard summer internship) enabling a ‘laboratory experience’ for the students to ‘learn by doing’, in a real corporate work environment. In fact, several corporates have sponsored labs in the campus to train students from day one, including IBM Business Analytics lab, Prabhudas Lilladher Finance lab and Bloomberg Trading Terminals, etc. IFIM Business School provides an enriching corporate and faculty mentorship programme for all students to enable them to choose their career path and motivate them to achieve 200% of what they think they are capable of. IFIM takes pride in being the first Business School where each student is expected to author original research publication based on the research projects that they conduct, to be published in top international journals. Social responsibility awareness is created by enabling students to design solutions for social problems through a Techno Economic Viability study and execution, thereby leading to sustainable and measurable positive social impact. Must have qualified in one of the national level management entrance examinations CAT, XAT or GMAT. All candidates will be communicated through their registered email IDs only. Note: Management reserves right to add new centers for conducting selection process based on the availability of candidates. No regret letters will be sent to the candidates who fail to qualify. 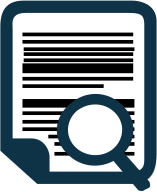 Under normal circumstances fees once paid will not be refunded even in the case of a student’s failure/termination or withdrawal from the program. Delayed payment will attract penalty. All costs associated with the International Exchange Programs such as travel, boarding, lodging, insurance, tuition fee (if applicable), and the related expenses will be additional and shall be borne by the student. 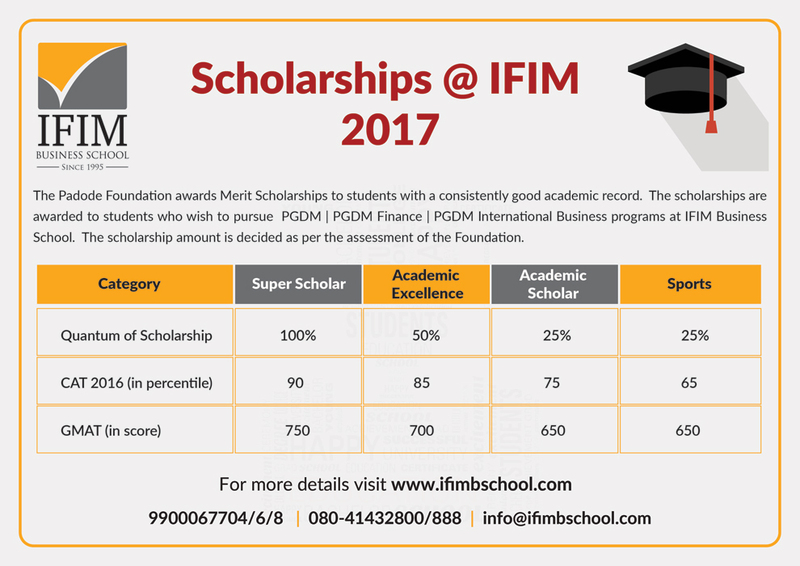 IFIM Business School announces merit scholarships offered by Padode Foundation for the PGDM, PGDM (Finance), PGDM (IB) Batch 2017-19. 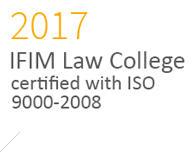 The objective is to identify meritorious talent who will be offered merit scholarship for pursuing a two-year, full-time Post Graduate Diploma in Management (PGDM) at IFIM Business School, Bangalore. Scholarships in the form of a fee waiver will be offered to meritorious students, who have appeared for CAT or GMAT according to the eligibility criteria mentioned below. Students may apply for multiple categories of scholarships. If the first preference category intake is filled, students will be considered for the subsequent category. Please also note that scholarships are not applicable to students of Dual Degree programs. Scholarships are not applicable to Dual degree programs. Quantum of Scholarship: (100% Tuition Fee Waiver). The student should have scored a 90 percentile and above in CAT or 750 and above in GMAT. A minimum of a First Class or equivalent in the UG Degree examination and should have passed the examinations of the Degree program in the first attempt. A minimum of 75% aggregate in 10th and 10+2 or an equivalent examination and should have also passed the examination in the first attempt. 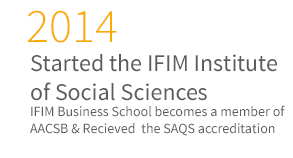 The student should have applied to IFIM Business School and as well as have obtained a valid offer for admission from the institution. The student needs to have applied for Scholarship at the time of application. Preference will be given to economically challenged applicants. Quantum of Scholarship: (50% Tuition Fee Waiver). The student should have scored an 85 percentile and above in CAT or 700 and above in GMAT. A minimum of 75% aggregate in the 10th, and 10+2 or equivalent examination and should have also passed the examination in the first attempt. Quantum of Scholarship: (25% Tuition Fee Waiver). The student should have scored a 75 percentile and above in CAT or 650 and above in GMAT. A minimum of 75% aggregate in the 10th and 10+2 or equivalent examination and should have also passed the examination in the first attempt. The student should have represented at a National/International level in sports or at a level recognized by the International Olympic Committee/Cricket. 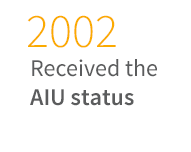 The date on the certificate of participation should be within two years from the date of the scholarship application. The student should have scored 65 percentile and above in CAT or 650 and above in GMAT. A minimum of 60% aggregate in the 10th and 10+2 or equivalent examination and should have also passed the examination in the first attempt. How to apply: To be eligible, interested candidates need to apply in the prescribed format and need to submit all the relevant documents to prove their credentials on or before appearing for the Personal Interview to be eligible. The scholarship Committee will decide the final merit list for awarding of scholarships based on the candidate’s performance in the Personal Interview as well as based on the academic and professional profile. Decision of the committee will be final and binding. For loan above INR 4.00 lac & up to INR 7.50 Lac: Parent/Guardian as co-borrower and Collateral security in the form of suitable third party guarantee. Third Party Guarantee can be replaced with Parent/Guardian as co-borrower provided the Gross Annual Income of Parent/Guardian (co-borrower) as given in latest Income Tax Return is 3 times of the loan amount. Repayment Loan is repayable after Repayment Holiday/Moratorium which is “Course Period + 1 year” or “6 months after getting job”, whichever is earlier. Loans up to INR 7.50 Lac to be repaid within a maximum period of 10 years. Loans above INR 7.50 Lac within a maximum period of 15 years after commencement of repayment period. PAN Card of the student and the Parent/Guardian. Income tax Returns/IT assessment order, of last 2 yrs (If IT Payee). Brief statement of assets and liabilities, of the parents/Co-borrower. Proof of Income (i.e. Salary slips/Form 16 etc. if applicable) of the parents/Co borrower. Delivery Channel : The loans are generally processed by the specialized Retail Banking Branches. The Students must approach the bank near their place of permanent residence/where they have long term banking dealings. These branches will recommend their names to the specialized branches. Online application facility. Most of the Banks have Online application facility. The parent/guardian would become co-borrower with the student. Education Loan would be sanctioned preferably through branches/RBBs/CRBBs nearest to the place of residence of parents. Second time education loan is available for higher studies/escalation of cost. Fee. Purchase of Books/Equipments/Instruments/Uniforms Purchase of Computers essential for completion of the course at reasonable cost. Caution Deposit/Building Fund/Refundable Deposit supported by Bills/Receipts of the Institution, subject to the conditions that amount does not exceed 10% of the total tuition fees for the entire course. Banks have a policy to give education loans as per RBI & Government guidelines. But sanction of the loans depends upon the discretion of the Branch Manager of the bank. Students/parents/guardians may find that sometimes the local branch managers are reticent in giving loans. This attitude may be based on their past experience with students who have not repaid their loans in time. The applicant may ensure that they put up credentials of their genuine intentions and background to win the confidence of the Branch Managers. Banks may under take background check of the applicant by local enquiries/from Credit Information Bureau of India (CIBIL). The credit history of the residents is captured by CIBIL. Defaults made by the residents in their bank loan repayments and defaults in utility bill payments mean adverse CIBIL reports.